When you sign-up for the eNewsletter you will know about the latest news and events happening in our community. Each week we distribute our weekly eNewsletter via email. This includes the latest updates for the week, ministry events and prayer concerns. Typically we send a weekly eNewsletter out Wednesday morning. 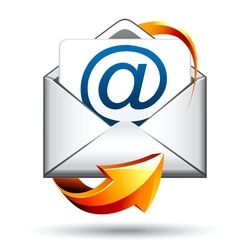 We will use your email address solely for sending you our weekly eNewsletter. We will not pass your email address to any third parties. You can unsubscribe from our mailing list at any time by clicking the unsubscribe link at the bottom of the e-newsletter and follow the instructions on the screen. ​If you unsubscribed from the weekly eNewsletter and want to Subscribe again you can do so by entering your email below and following the prompts. To visit an Archive of past eNewsletter campaigns. Click here.